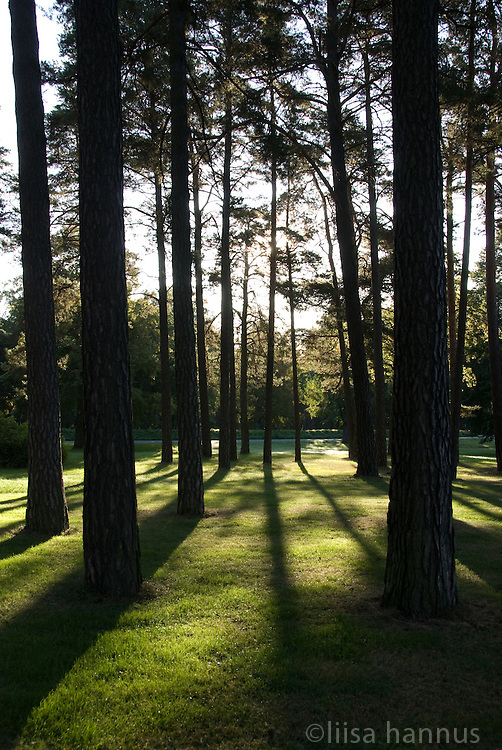 Scots pines stand tall in a vacant section of Skogskyrkogården, or the Woodland Cemetery, in south Stockholm, Sweden. Following an international competition in 1915, the design by Gunnar Asplund and Sigurd Lewertz was chosen and the cemetary was opened in 1920. The architects' use of the natural landscape has had a profound effect on cemetery design throughout the world, and in 1994 Skogskyrkogården was named a UNESCO World Heritage Site.